Here's the behind the scenes info on Geocaching Adventures - The Golden Circle. It's episode two of season one, and our second full day in Iceland. If you haven't caught this episode yet, here it is so you can get caught up. In this episode we spent the day on the Golden Circle Tour. This is likely the most popular tour you take take in Iceland as it hits all the major well known attractions in one day. 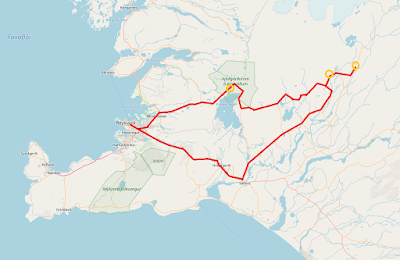 The route involves "circling" the southern part of the island nation on the major highway system, taking you from Reykjavik to Gullfoss, Geysir, and Thingvellir National Park. There are plenty other stops of interest along the way, and the highway route "circles" you back to Reykjavik. This does take a full day in order to maximize the enjoyment of the stops, so plan for that. An interesting point is that we did the tour "backwards" to what many tour organizers do, but it worked out best that way; Gullfoss and Geysir can get very crowded in the later afternoons. A pano shot of Thingvellir National Park from the upper parkade and observation deck. What Geocaches Did We Find? There were some other caches, including a WhereIGo that requires you to visit multiple parks in the Golden Circle to complete it and find the cache. What Else Did We See? We made a couple other interesting stops, including one to visit with some Icelandic horses. These creatures are pretty fascinating not only because extremely strict breeding and import/export laws allow them to be the only breed of horse bred here, but also because they have a unique "pace" they travel at that other horses cannot. There was a stop in the morning at a small market with a fantastic deli along Highway 1 before we made the long stretch out to Gullfoss. If you have questions, please post them in the comments section below, or use Twitter @LANMonkeyGC and I'm happy to do my best to answer them. Are you interested in planning this trip yourself? Well you can rent a car and drive it - all roads are quite passable. Or, Google "Golden Circle Iceland" and you'll get tons of options. If there is something else that would be helpful or interesting to you, please make sure to leave a comment. If you enjoyed it, please make sure to share it on social media and use @LANMonkeyGC so I can thank you. LANMonkey's Geocaching Adventures are written by Jay Kennedy, outdoor adventurer and photo-journalist. All content is affiliated with the Wander Network. 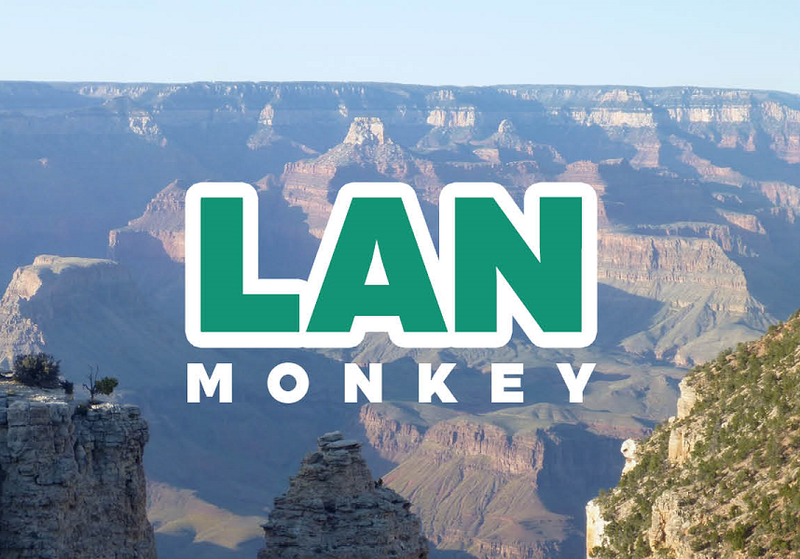 Experience his adventures on Twitter and Instagram by following @LANMonkeyGC, and subscribing to LANMonkey on YouTube. He is also a regular co-host of the Caching in the Northwest geocaching podcast.